Bannow Bay Seaside Farm in Bannow Bay, near Wexford, County Wexford sleeps 2 people. Bannow Bay Seaside Farm near Wexford is situated on the owner’s working dairy farm; this delightful studio annexe, at the end of the owner’s farmhouse, has superb views from its cosy living area down to Bannow Bay and Bannow Island. 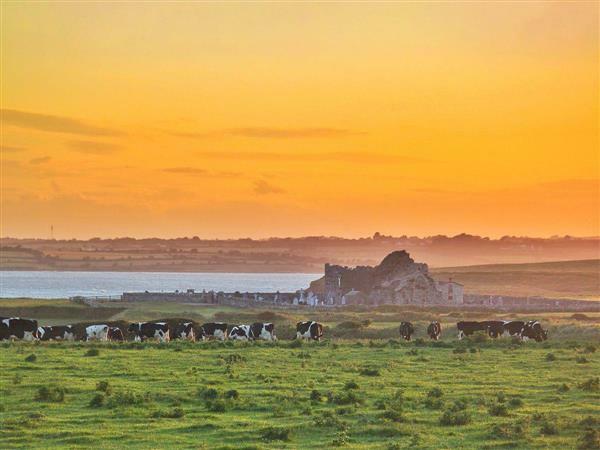 Enjoy the beautiful, immensely historic church ruins and the majestic sea vista from the farmhouse. Guests are welcome to ramble through the estuary farmland, have a go at milking the cows, and feel free to take a picnic basket and rug with you on a walk through the fields down to a private sandy beach, just a 300 yard stroll away. Nearby is mysterious Bannow Island where the buried city of Bannow is sited. The whole area is of much historical interest including the Three Stone Crosses monument, dating back to the 8th century, as well as Baginbun Watchtower, all part of the Ireland’s Ancient East and the Norman Way trails. It is a walker’s paradise with stunning sea shores, cliff faces and rock pools to explore together with an array of wildlife including herons, buzzard hawks, owls, wild geese and pheasants. The area is renowned for bass, mackerel and herring fishing in addition to angling. Traditional Irish music abounds in this area and can be enjoyed in many of the local pubs whilst other attractions such as Hook Lighthouse, Loftus Hall - reputedly the most haunted house in Ireland, Tintern Abbey, John F. Kennedy Arboretum, Dunbrody Famine Ship, Johnstown Castle, National Heritage Park, Rosslare Strand and Kilmore Quay are all within a 20-minute scenic drive away. The beach is 300 yards from Bannow Bay Seaside Farm near Wexford. With the shop and restaurant 3 miles. The pub is ½ mile. from Bannow Bay Seaside Farm. Approximate distance to Cork airport is 181 km. 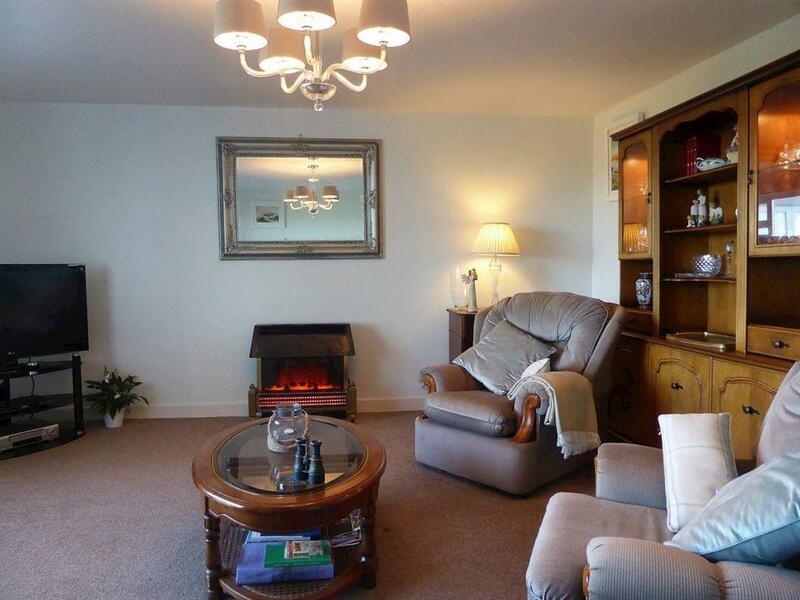 Living area: With electric fire, Freeview TV. Kitchen area: With 2-ring electric hob, combi microwave/oven/grill and mini fridge. Bedroom area: With double bed and en-suite with shower cubicle and toilet. Oil central heating, electricity, bed linen, towels and Wi-Fi included. Travel cot and highchair available on request. Welcome pack. Sitting-out area with garden furniture and barbecue. 55-acre grounds with private beach. Private parking for 2 cars. No smoking. Holidays at Bannow Bay Seaside Farm run from Saturday to Saturday. For a better idea of where Bannow Bay Seaside Farm is, you can see Bannow Bay Seaside Farm on the map below. Do you want to holiday near Bannow Bay Seaside Farm (W32340), you can see other cottages within 25 miles of Bannow Bay Seaside Farm; have a look to find your perfect holiday location.